The WakaWaka Power is a solar powered backup battery (with a powerful flashlight!) and it’s now available for 10% off if you use the discount code 'TENoffWAKA' at signup. Charge and light up your adventures with the most efficient solar-powered backup battery on the market! 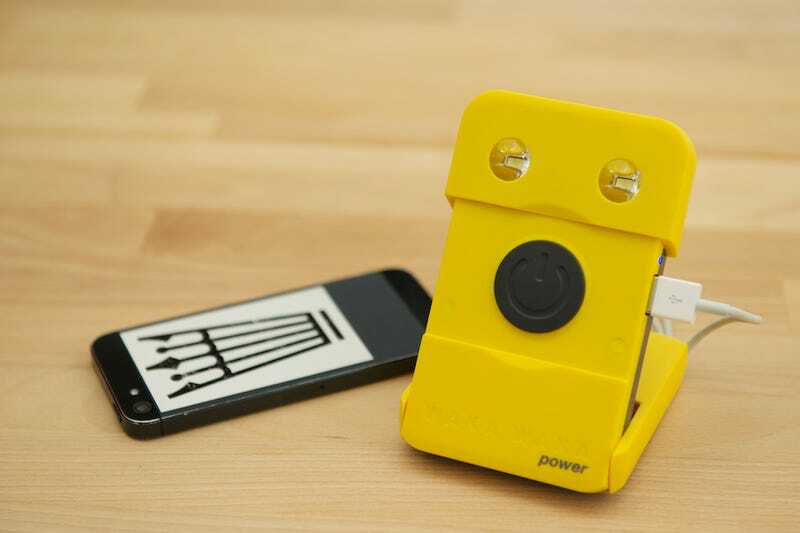 About the size of a small pocket notebook, the WakaWaka Power is built to take a beating. The case is made of durable plastic, and the solar panels on the front absorb sunlight in even the most sun-deprived locations. Mount the light on a bottle or hang it from the ceiling. The base locks in place when rotated, and it’s compact enough to fit in your back pocket. At 23% efficiency, the Waka Waka Power is hands-down the most efficient solar-powered battery backup and light. On an 8-hour solar charge, the WakaWaka produces up to 100 hours of light on low power, 40 hours on medium, and 20+ hours on high. It even has a smart SOS mode that can be quickly enabled by just holding the button down for a couple seconds. LED indicators on the side of the device tell you when it’s charging, how full the battery is, and when your smartphone or tablet is charging. Due to exposed USB ports, it’s not 100% waterproof, but it doesn’t mind a light splash in the rain. The WakaWaka Power is perfect for emergency/outdoor scenarios, but it’s also an ideal everyday backup power source and reading light. It's $59 at Grand St. if you use the discount code 'TENoffWAKA' at signup. Grand St. is a curated marketplace for creative technology. We hand pick, test, and highlight well-designed, delightful hardware from independent producers. Sign up here!